Laura grew up in south-east London in a home surrounded by various pets; dogs, cats and a full fish tank named after the Arsenal football team. Laura developed her love for animals from a young age. She won a scholarship to Sixth Form College and on weekends worked as a receptionist at her local veterinary practice. Laura studied at the Royal Veterinary College, London and qualified in 2007. Her first job was in Kent at a busy small animal practice. In 2009 her husband found work in South Wales and she moved to Cardiff and began work for Valley Vets. Laura has a particular love for cats, and her main interest is feline medicine. She was awarded a General Practitioner Certificate in Feline Practice by the European School of Postgraduate Veterinary Studies in 2013 and became an RCVS Advanced Practitioner in Feline Medicine in 2016. 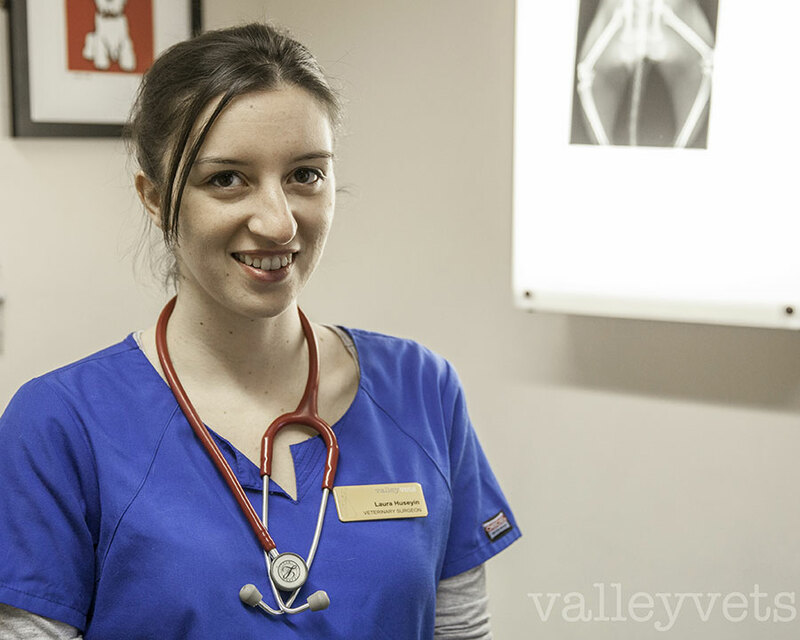 At Valley Vets she has helped to create feline friendly practices across our branches and is also working towards establishing a feline behaviour clinic. Laura has participated in multicentre clinical trials improving treatments available for cats in the future. Outside work Laura enjoys travelling. On her honeymoon, she combined her love of cats and travel visiting Kenya's Masai Mara to see and photograph Africa's big cats in their natural habitat. Laura has two Siamese cats called 'Che' and 'Fi'. They were a present from her husband; designed to stop her bringing too many stray animals home.